Our Project Z was a pretty good example of what a naturally aspirated VQ35DE could do. However, our VQ had become old and tired. It was worn out from a lot of minimal maintenance street miles, track days, drift and professional stunt driving practice and had started to develop some rod knock. Luckily we were able to stop before serious damage to the engine internals resulted. However an engine rebuild was in order. Our objective in building this engine is not to build the most awesome NA VQ possible or even to get tons more power, but rather to perform an economic build to address some of the VQ’s durability shortcomings, replacing stock parts when necessary with some good quality aftermarket bits. This way the car would be plenty durable and reliable for lots more track days and drift practices with a new beginner driver! VQ35DE rods are prone to fail. Nissan knew the stock rods were weak and improved them some for the later rev up motors and significantly for the latest HR variants. At more than 7200 rpm or 350 hp, rod life is pretty problematic. Since we wanted our engine to rev to 7700 rpm safely we had to do some upgrading. We chose to go with some off the shelf rods from K1 Technologies. We feel that K1 rods are an excellent value and are of course much better than the stock rods. 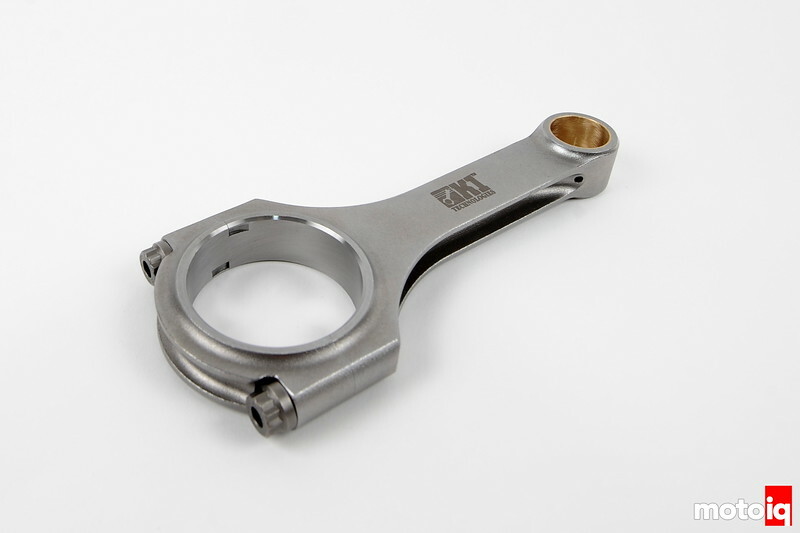 The K1 rod itself is machined from a forged 4340 steel billet. 4340 is a heat treatable alloy steel similar to chrome molly, having nickel, chromium and molybdenum as alloying agents to give it roughly double the strength of regular steel with a higher nickel content making it stronger and tougher with a higher impact resistance. 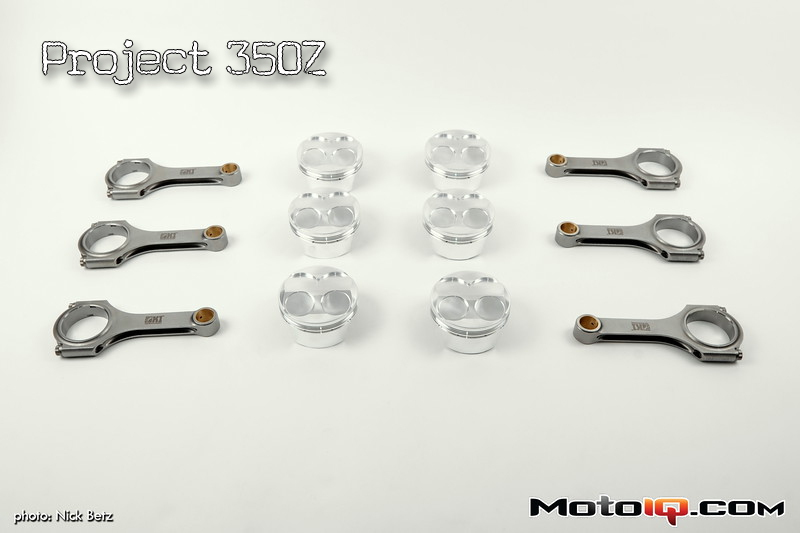 These properties make 4340 an ideal alloy for connecting rods. The rod is first machined then solution heat treated. This heat treating greatly improves mechanical properties such as the tensile strength of 4340 steel. Solution heat treating makes the alloy homogeneous where all of the atoms in the material effectively become a solid solution during the treatment making the alloying elements evenly distributed around the part. Another cool feature of the K1 rods is the use of high strength 3/8″ 200,000 psi tensile strength ARP 2000 rod bolts. K1 does not skimp here one bit! These premium bolts have asymmetrical threads for more thrust engagement for better torque consistency. Stock VQ35DE rods are prone to fail at the rod bolts and in the beam below the pin. The K1 rod is an H Beam profile which is resistant to bending and fatigue. The rod is much stronger in the beam than stock while at 528 grams, is nearly 100 grams lighter than stock at the same time. 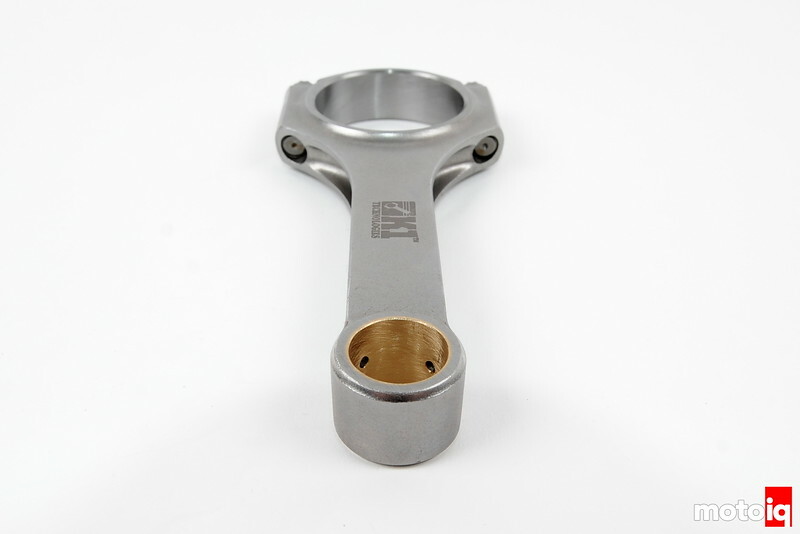 The rods small end is bronze bushed and the rod machined so the sizing can be held to plus or minus 0.0001 and the weight within one gram per end. Those are exceedingly tight tolerances! After machining to shape and heat treatment, the rod is shotpeened which can improve fatigue strength by over 100%. We selected some of JE Pistons 11:1 shelf pistons. These are standard off the shelf parts that are in stock and are easily and quickly available. 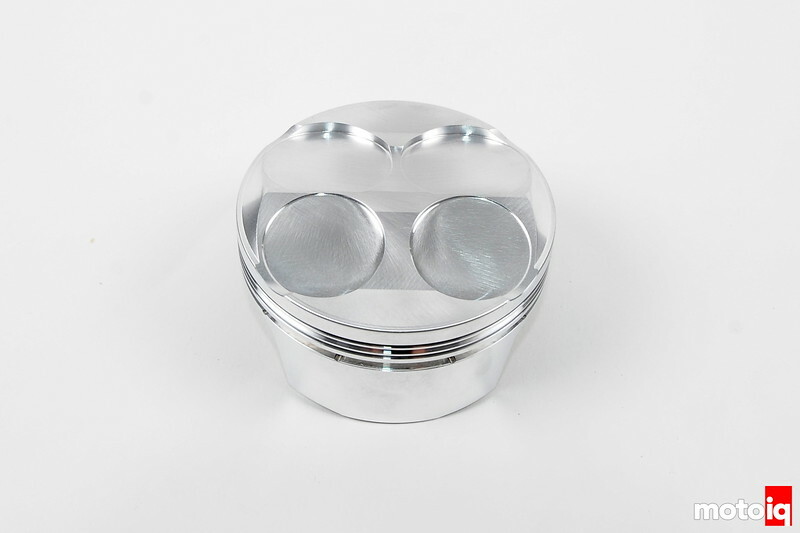 JE forged pistons are made of tough 2618 low silicon aluminum alloy. 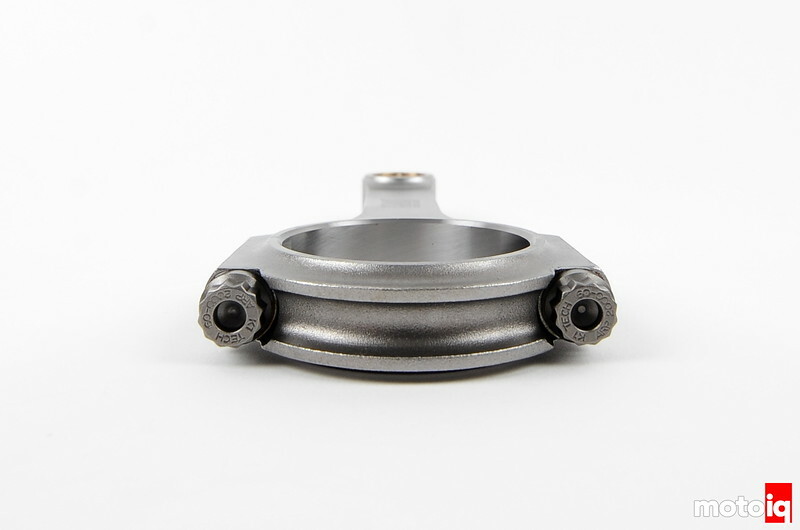 This alloy is tougher than typical high silicon alloys found in cast and some forged pistons. Low silicon aluminum expands more with heat so they must run wider clearances. Typically 2618 pistons are noisy, in the worst cases, they sound like a diesel engine especially when cold. We have found that JE has their skirt profile so speced out that even with a low silicon piston using wider clearances, the engine will run quiet and clatter free, even during initial start up.